A Type specimen card set and poster for the Hoefler&Co. typeface Vitesse, inspired by the 1990 documentary Paris is Burning. This project was created as part of David Scott’s Typography 2 fall 2014 class at the Academy of Art University. 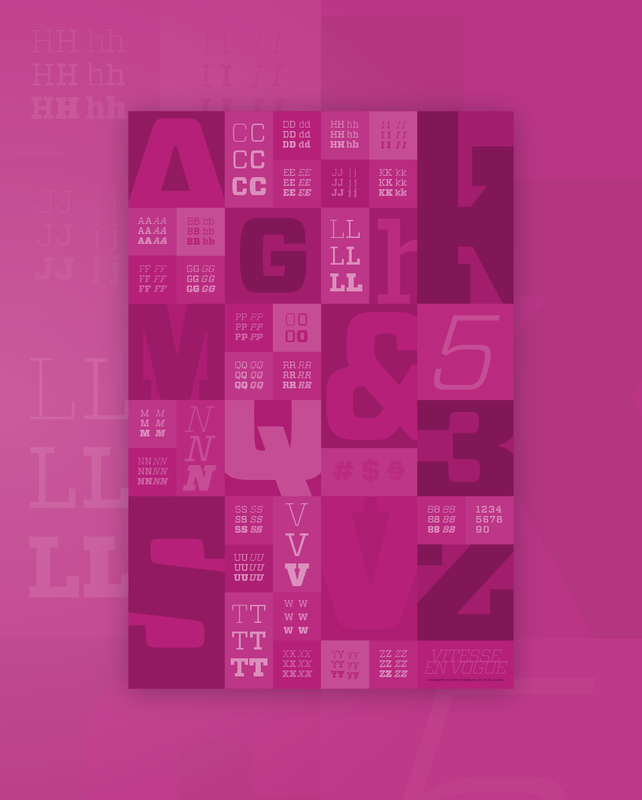 The cards contain a variety of information about the typeface, including weights and styles, details on the anatomy of the type and the relationship betweenletterforms. They also contain a matrix on the top-right corner. Positioning them together in the right order and flipping them reveals a type poster.